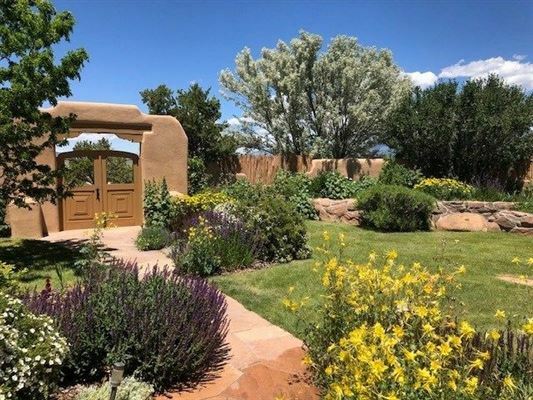 The magic of Taos is in full bloom on this 2,120 acres facing Taos ski mountain. 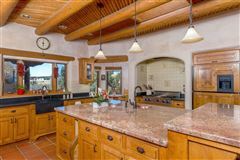 The acreage is 110 acres of deeded land surrounded by 2,010 acres of State leased land. The views are sparkling! 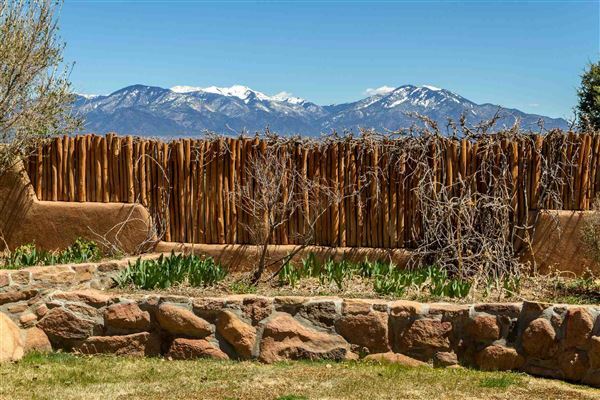 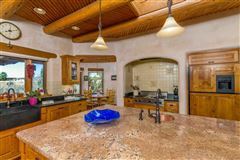 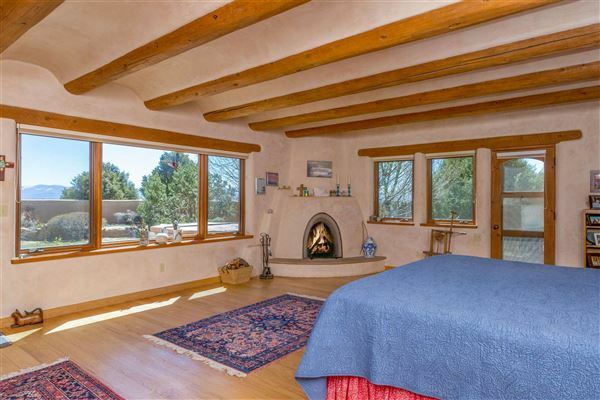 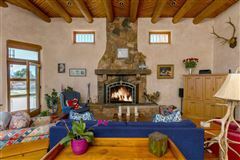 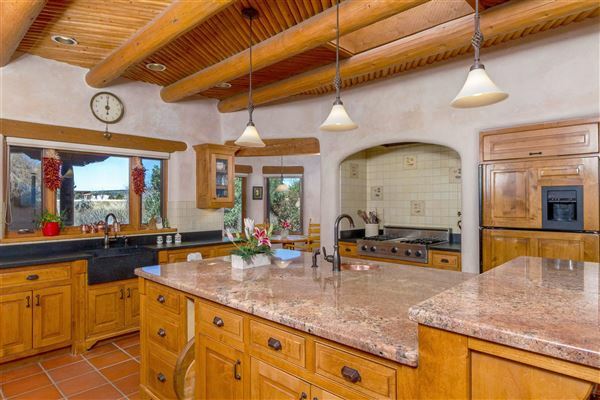 The 5,089 square foot home was built in Taos Mountain style with these views in mind with windows that draw nature into the home. 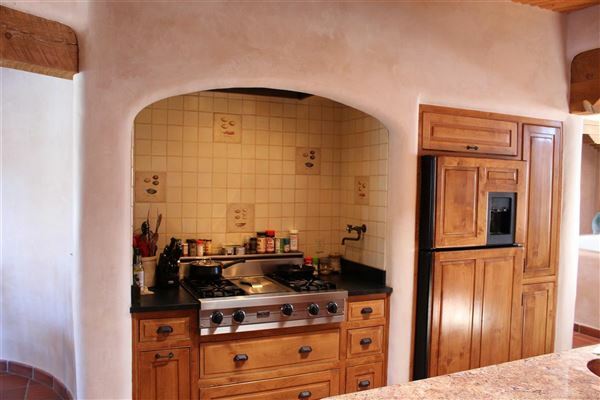 This three bedroom, three bath with private study, office and workout room, chef's kitchen with breakfast nook, separate dining room, three wood burning fireplaces, and two-car garage makes living easy. 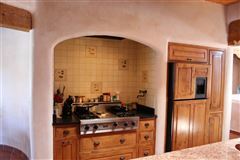 Also, a three bed, two bath guest house and horse facilities, greenhouse and fenced gardens that round out the picture. 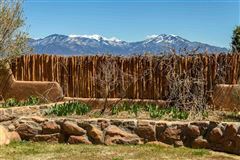 All of this is moments from the Rio Grande gorge.